In my younger days I lived and went to school for a year in Aalborg, Denmark. There you can find a street called Jomfru Ane Gade where liquor flows freely from the plethora of bars and raucous ‘cheers!’ can be heard up and down the famous street the city of Aalborg is known for. So when Line Krüger contacted me to commission an illustration for the schnapps company of the same name I had just a few flashbacks before promptly accepting the job. 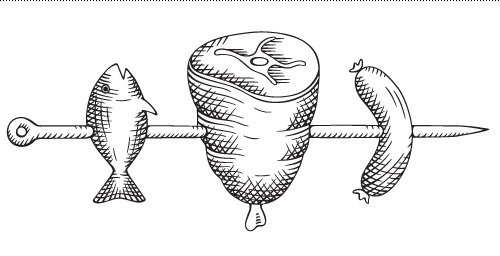 Basically anytime someone calls you up and asks “can you draw some meat on a stick?” you have to say yes. If there is something the Danes like more than getting a tax cut or drinking schnapps, it’s consuming pork and other meat products. 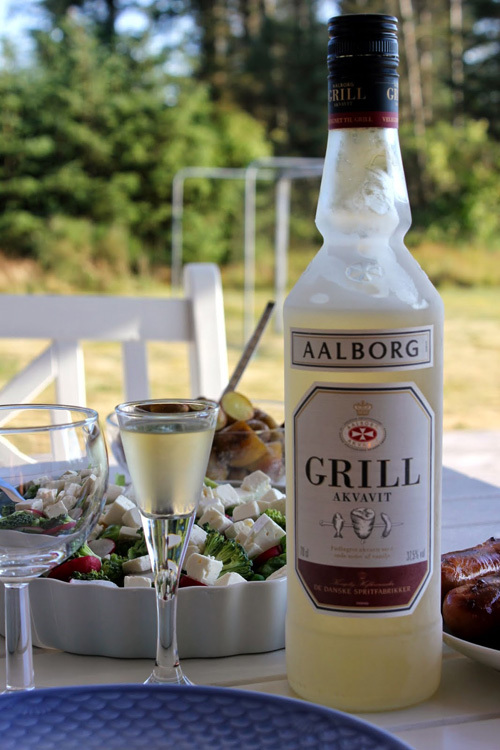 So combining the latter two activities seems like a surefire bet for Aalborg Akvavit, who created this new product for pairing with summer grill food. The label itself was designed by Line who also creative directed the illustration process. Usually associated with the popular and omnipresent event of December, the julefrokost, schnapps (or akvavit) is consumed in large quantities even though the glasses that carry the liquid from bottle to mouth are minute. 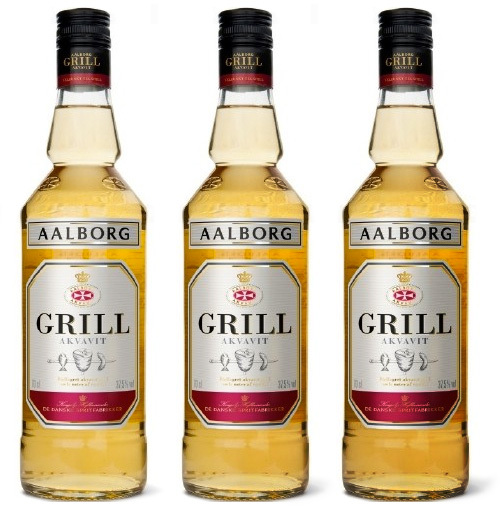 I’m convinced this small beverage vessel was created with the hidden agenda of giving the Danes the maximum number of opportunities to shout SKÅL before reaching full inebriation. Enjoying summer with many tiny glasses of akvavit. For real, Mette? This is fantastic.